Before you say anything you’ve made an excellent impression. One of the finest hotels in Belfast also has some of the best meeting room and facilities. This is indeed, meeting perfection. The Location is perfect: Right in the heart of the city beside the Grand Opera House on Great Victoria Street- everybody knows how to get here. 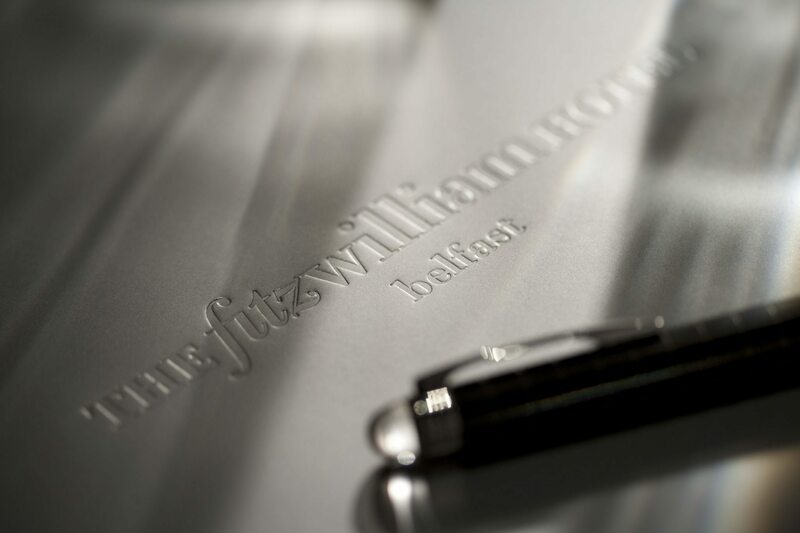 The Boardroom at the Fitzwilliam Hotel Belfast sits perched above the foyer at the mezzanine level. A glass wall ensures silence and privacy while still letting in all of that light and a sense of activity for the city bustle. 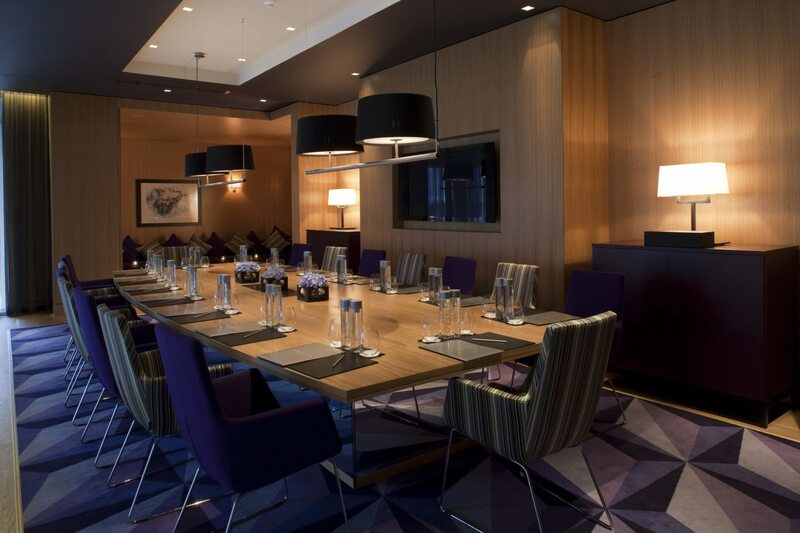 There’s a beautiful bespoke boardroom table which seats up to 20 and a breakout lounge which means you can hold your entire event in your own private area, which includes a gigantic custom-made corner sofa. A client meeting that makes a statement. A retirement party that’s a stylish send-off. A five star private dining evening. A presentation that will wow. For whatever reason you need an über-chic meeting room or event space in the heart of Belfast, this is the one you should choose above all others. Here, right beside the bar and behind reception, is BT2. This is our newly refurbished meeting room designed by Project Orange and seating up to 10 people in elegant but comfy style. It’s a meeting room but you can use it for board meetings, presentations, focus groups, interviews or just about anything your business needs. 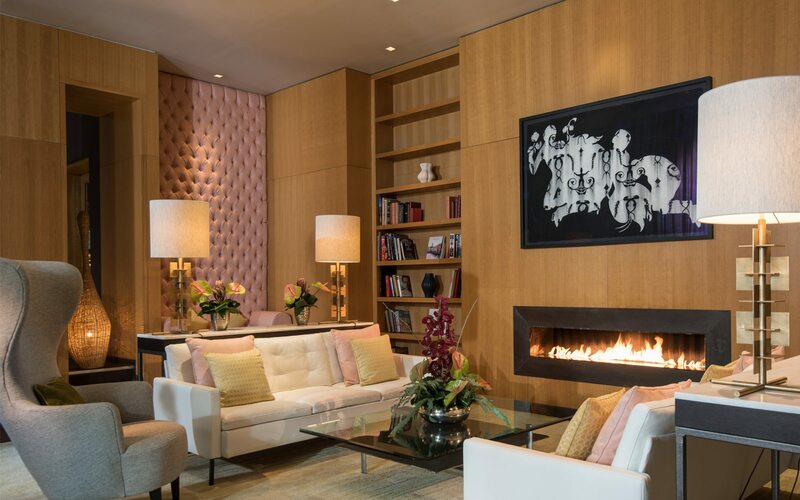 Or book it for a private dinner, a party, wine tasting, book club, a screening or whatever you have in mind. BT2 has every thing you would expect of a five-star meeting room, and some you don’t, including the advanced technology, flawless business support services and attentive waiting staff. Now, when exactly do you need it?